ZESA Holdings chief executive Joshua Chifamba has been pushed out after the board decided not to extend his second term contract following his suspension and subsequent arrest last year over damning allegations of corruption and criminal abuse of office. Eng Chifamba’s contract expired sometime last year, having been extended by four years after earlier serving for three years as ZESA CEO. This time, the contract was not extended by “effluxion of time”, according to correspondence seen by The Herald Business. Eng Chifamba was already on suspension pending investigation into the allegations of criminal abuse of office and suspected irregularities around procurement of key electrical equipment imported by two ZESA subsidiaries from India. The development comes as Government has been cracking the whip on a series of suspected cases of corruption in the public sector, which have seen several high profile people, including several former Cabinet ministers, having their day in the courts. Secretary for Energy and Power Development Engineer Gloria Magombo in a letter dated February 5, 2019 to group legal adviser Saidi Sangula, said ZESA Holdings could now proceed to finalise the matter in line with Eng Chifamba’s contract. “I refer to your correspondence, dated December 13, 2018, wherein you communicated the board’s decision not to extend Eng Chifamba’s contract of employment, as group chief executive officer of Zesa Holdings, through effluxion of time. “As you are already aware, Section 17 of the Public Entities Corporate Governance Act Chapter 10:31 mandates boards of State entities to appoint chief executive officers, albeit with the approval of the President. “It goes without say that the process of termination follows the same route,” Eng Magombo said in the letter to Mr Sangula. She stressed therefore that the President and the Cabinet had, upon consultation by the minister of energy, concurred with the board’s decision to terminate the CEO’s contract. “You may therefore proceed to finalise the matter in line with Eng Chifamba contract and internal procedures, as well as corporate governance principle in general,” she said. Eng Chifamba was arrested in October last year in connection with alleged criminal abuse of office in the awarding of a contract involving ZESA’S units ZETDC, ZENT and Indian firm, PME, for the supply of transformers and other equipment worth $35 million. The ZESA boss was arrested together with Zimbabwe Electricity Transmission and Distribution (ZETDC) managing director Engineer Julian Chinembiri and his finance director Thokozani Dhliwayo. ZETDC, which is ZESA’s distribution arm, installs most of the electrical equipment in all national projects while ZENT, which manufactures transformers either assembles locally or procures them when requested by its sister companies for various projects. The ZESA and ZESA subsidiary bigwigs, who are all on suspension, were arrested over irregular conduct which in 2014 saw Indian firm PME unprocedurally supply transformers that it reportedly supplied to ZESA Holdings unit ZENT Enterprises. ZENT subsequently lost millions of dollars in insurance and storage fees of over $16 million worth of transformers received from the Indian firm without placing an order. There was strong suspicion that there could have been connivance between top officials from PME, Zesa Holdings and its subsidiaries for delivery of equipment not requested. The electrical equipment was meant for a project in Chiwaridzo (Bindura), Senga (Gweru), Aerodrome (Bindura) and Cowdry Park in Bulawayo. However, beyond the quantities and specifications that were required for the project, the Indian firm reportedly supplied equipment that was not needed by the firm nor matched specifications for any projects Zesa units were implementing. Eng Chifamba is also facing allegations of awarding an advertising contract to Fruitful Communications (Pvt) Ltd, fronted by former legislator Psychology Maziwisa and broadcaster Oscar Pambuka, without going to tender in 2016, subsequently paying them $20 000 for the services. While Maziwisa and Pambuka argued in their defence that they were paid for services rendered, a ZBC bulletins manager, Moses Charedzera, who gave evidence during trial told the court that the duo never broadcast any radio or television project for Zesa. 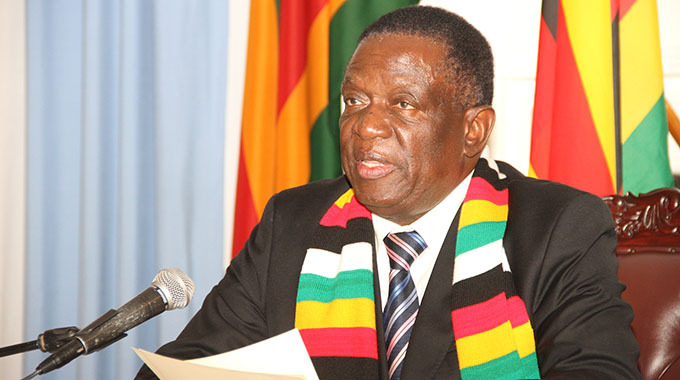 President Mnangagwa’s administration has taken a “no nonsense” approach on corruption, which has seen several high profile personalities being arrested over corruption allegations. These included former energy and Power Development Minister Samuel Undenge and who was convicted of criminal abuse of office after he hand-picked a public relations firm fronted by ex-Highfield West legislator Maziwisa and broadcaster Pambuka for the Zimbabwe Power Company (ZPC) without going to tender. Undenge has since appealed both conviction and sentence. He is out on bail pending appeal. Maziwisa and Pambuka are also out on bail pending appeal following their conviction. Other high-profile figures arrested for corruption included former Cabinet ministers, Ignatius Chombo, Saviour Kasukuwere, Supa Mandiwanzira and Walter Chidhakwa. University of Zimbabwe vice-chancellor Professor Levi Nyagura, former Mines and Mining Development Secretary Prof Francis Gudyanga were also arrested for similar charges.